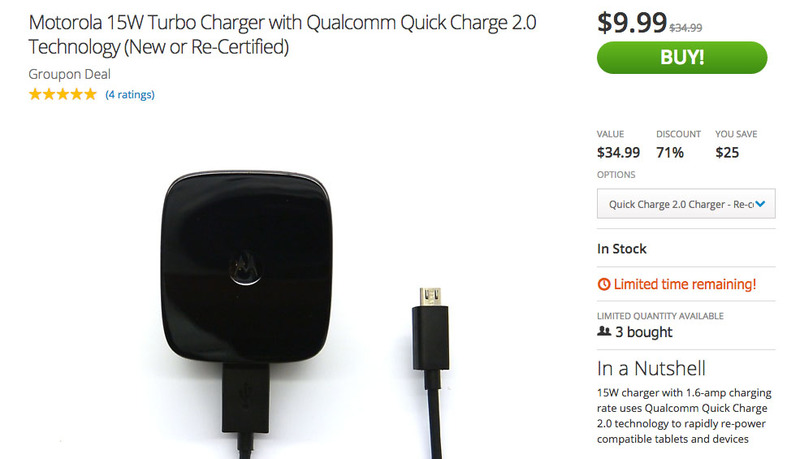 Still haven’t picked up a Turbo Charger or one of the many Quick Charge 2.0 chargers that Amazon sells at rock bottom prices? Assuming you haven’t bought the Quick Charge-less OnePlus 2, you should probably own at least two of these chargers. They really do make life much less stressful, knowing that as your battery deteriorates during a day, that you can quickly juice it fully within about an hour. Quick Charge 2.0 is easily one of the best tech inventions of the last 5 years. 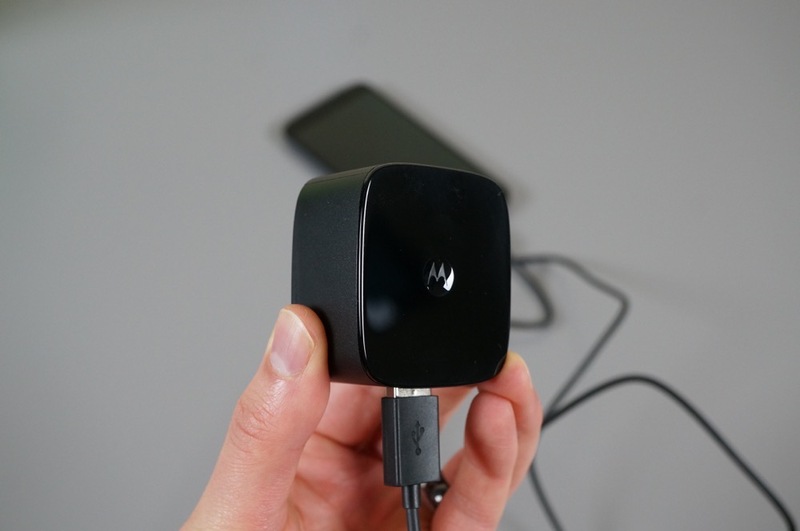 So if you haven’t picked one up, we wanted to point out that the Groupon deal for Motorola’s Turbo Charger is back. You can grab a re-certified version for just $9.99 or pick up a brand new one for $14.99. These originally retailed for around $35, so we’re talking a significant discount. And at $9.99, you are even getting a better price than the off-brand adapters Amazon is selling.